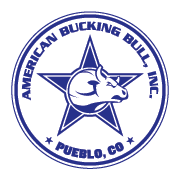 Please visit www.americanbuckingbull.com for the latest news and event results! This website can still be used for all your member log-in needs during the transitional period. Have you gotten your USDA Premise ID yet? All US ABBI members must have a USDA Premise ID on file with us in order to receive your EID tags. Please visit this link for a list of state USDA offices. What does your animal's DNA status mean? Looking for official ABBI merchandise? ABBIGear.com is the place to go! The content appearing on this website is subject to copyright protection and the material made available to access by members is also confidential to ABBI. No portion of any content may be reproduced, displayed, or otherwise transmitted without the prior written consent of American Bucking Bull, Inc.